General Remarks: The Sedgwick Downtown Historic District has a rectangular boundary that extends from the northwest corner of 5th Street and Commercial Avenue, west to the alley between Commercial Avenue and Franklin Avenue, north to the north boundary of 523 N. Commercial Avenue, east to Commercial Avenue, and south to the point of beginning. There are eleven buildings located within the district boundaries, two non-contributors and nine contributors. Please note that this is only a recommendation for potential eligibility and is subject to change. The SHPO staff will make the final determination regarding a property's eligibility for listing in the National Register. The selection displayed in this field may not necessarily reflect the most current determination of eligibility. Please contact the SHPO for an official determination regarding a property's eligibility for listing in the National or State Registers. There is no survey information for this record. Sedgwick Downtown Historic District. Front elevation of 501 N. Commercial, Looking west. Davis, C. 2011. Sedgwick Downtown Historic District. Front Elevation of 503 N. Commercial, Looking west. Davis, C. 2011. Sedgwick Downtown Historic District. Front Elevation of 505-507 N. Commercial, Looking west. Davis, C. 2011. Sedgwick Downtown Historic District. Front Elevation of 511 N. Commercial, Looking west. Davis, C. 2011. Sedgwick Downtown Historic District. Front Elevation of 513 N. Commercial, Looking west. Davis, C. 2011. Sedgwick Downtown Historic District. Front Elevation of 519 N. Commercial, Looking west. Davis, C. 2011. Sedgwick Downtown Historic District. Front Elevation of 521 N. Commercial, Looking west. Davis, C. 2011. 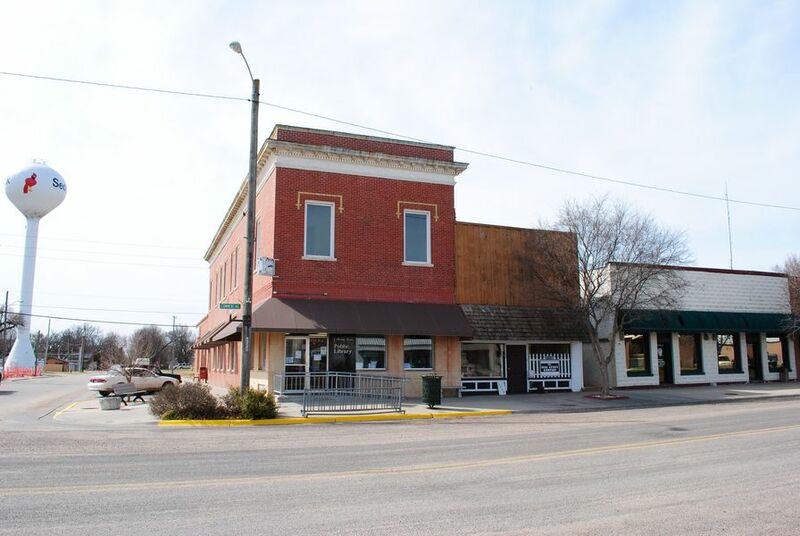 Sedgwick Downtown Historic District. Front Elevation of 523 N. Commercial, Looking west. Davis, C. 2011. Sedgwick Downtown Historic District. Front Elevation of 102 W. Fifth, Looking north. Davis, C. 2011. Sedgwick Downtown Historic District. National Register Nomination. 11/27/2011. Davis, Christy.